Shawn Stevenson — bestselling author and creator of The Model Health Show — is back on ReWild Yourself podcast to motivate us to make sleep a primary focus as he details his latest sleep research. Sleep has been a big focus for me as of late. I find I’m able to get more out of my day if I allocate a larger portion of it to getting quality sleep. In this interview, Shawn provides us with some powerful takeaways, including one important piece on the sleep—gut health connection that was completely new to me, and I think you’ll find particularly fascinating. I hope our conversation inspires you to create a nightly sleep practice that rejuvenates your mind and body. “A good night’s sleep starts the moment you wake up in the morning"
Do we need to black out our windows? Take control of your evening ritual — "Getting ready for bed"
Study: Cortisol and growth hormone responses to exercise at different times of day. 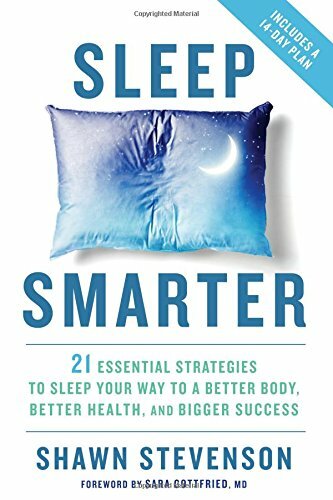 SleepSmarterBook.com — Go here for bonuses!